JetCooker Maintenance Options - Hydro-Thermal Corp.
Spring and even fall shutdowns are right around the corner. Shutdowns are a crazy time at a plant – several days of vendors and maintenance staff trying to ensure that equipment is in top running order. Avoid the chaos this year by taking a proactive approach with servicing your Hydroheater. Hydro-Thermal provides several convenient options for you to ensure that the Jet cooker service work during your shutdown goes smoothly. Your staff can swap out the units in about an hour. Then you can send the used Hydroheater to our facility for refurbishment. Any refurbished Hydroheater receives a renewed warranty equal to a new Hydroheater. In addition, refurbished heaters that are on a predictive/preventative maintenance program can lead to improved day to day performance and longer lasting parts. Our experienced service technicians will conduct a full inspection of the Hydroheater during rebuild and can offer a wide variety of recommendations or detect potential wear patterns that are shared with the customer through our reporting and documentation process. If you don’t have a spare Hydroheater, we recommend you keep the following six parts in stock (at all times) in case they are needed. The first three items are custom made parts for your specific Hydroheater(s). 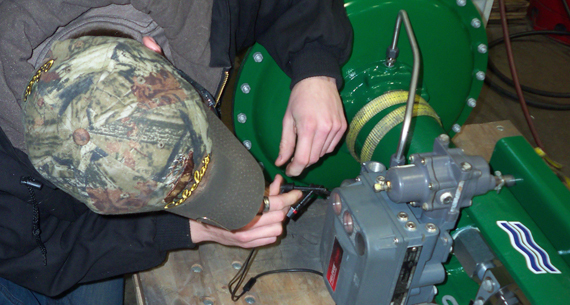 Hydro-Thermal service technicians are available for start-ups, rebuilding your Hydroheater at your facility during a shut-down, or training/trouble-shooting. The spring (and even fall) shutdowns are already starting to become booked up, so please contact the service team at 1-800-952-0121, or fill out our contact us form to ensure your date is available. Ethanol producers can do a combination of the two items that have been listed above in option#1 and #2 or create customized maintenance schedules to fit their needs. Please contact Hydro-Thermal to create a customized plan to ensure that your Hydroheater(s) are running to their full capability. Do you want to know more about our service and maintenance options? Click here to learn more.